Your brain is brilliant. I might not know you personally, but I am certain you have a magnificent mind. You can, for instance, instantly analyse a whole set of data and information in the blink of an eye and decide whether or not is safe to cross the road, all whilst listening to some music or chatting to friends. Your brain can multi-task, it can protect you, make you laugh, give you positive feelings and help you communicate with your friends all at once. Frankly, the human brain is remarkable. However, Google do not appear to think so. Even the giant Ph.D brains at the planet’s biggest search company believe our brains need support. They have revealed this in a new patent application which is aiming to get the Internet to communicate on your behalf. Yes, I know there are automated systems that can Tweet on your behalf, or there are email autoresponders which can send replies as though you had done it yourself. But all of these automated systems require human input. They need you to have written the messages in the first place. Google’s proposal is that it can develop a system which will send out messages and replies as though you had said them yourself, but for which no actual input is required. I’ll say that again because it is quite stunning. Yes, you read it right, Google is proposing a system which will write your social media messages on your behalf without you even having to do any thinking. The system will use – you guessed it – an algorithm to determine the kind of things you say in certain circumstances and then just suggest the appropriate words to create new messages. In other words, someone will send you a message on Google+, presumably, and Google will then suggest a reply to that message on your behalf. You don’t even need to think. Worse, of course, you can see the logical conclusion of this. Eventually the “social” network will be full of automated messages talking to each other, removing humans from the loop entirely because no doubt there will be some bright spark who adds a “default” which just accepts the suggested message and the system sends it out on our behalf. And that means one thing – the social aspect of the network will have disappeared. It will be computers “talking” to each other. In one simple swoop, this “brilliant” idea from Google could signal the end of Google+ before it has even become established. Marketers, of course, will love the new idea because it means they will be able to tailor personal messages to potential customers much better. However, those tailored messages will be talking in the dark. 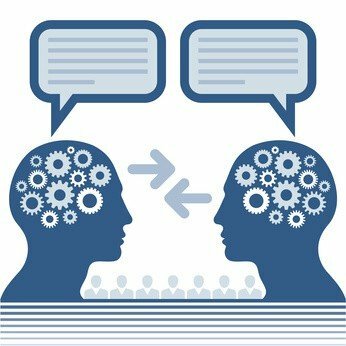 Ultimately, human communication is about people talking to each other based on thinking about what to say. Social networking “experts” seem to focus on the word “networking” and forget the word “social” and what that really means. We are all fed up with automated messages on Twitter and autoresponder emails that are weakly focused and badly written. If Google’s patent gets granted and their system becomes part of Google+ we can expect that annoyance to continue. And guess what will happen then? That’s right – we’ll all start talking to each other again and wonder why we ever stopped. Are you sure this wasn’t suggested on 1 April? ?